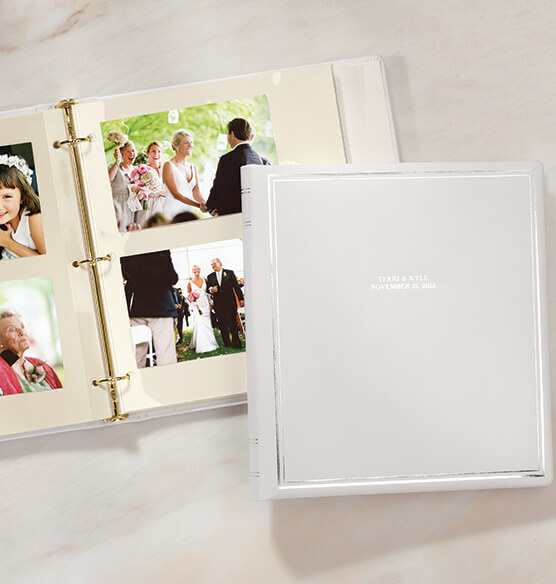 Remember one of the happiest days of your life with this beautiful leather wedding photo album. 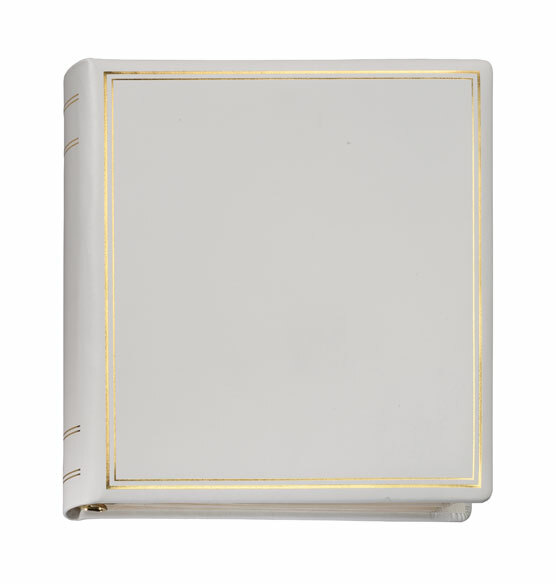 This white leather photo album is crafted of top-grain leather and includes decorative accents in your choice of goldtone or silvertone stamping. Personalize with up to 3 lines, 20 characters per line — at no additional cost. The interior has three rings for holding 3-ring photo pages. 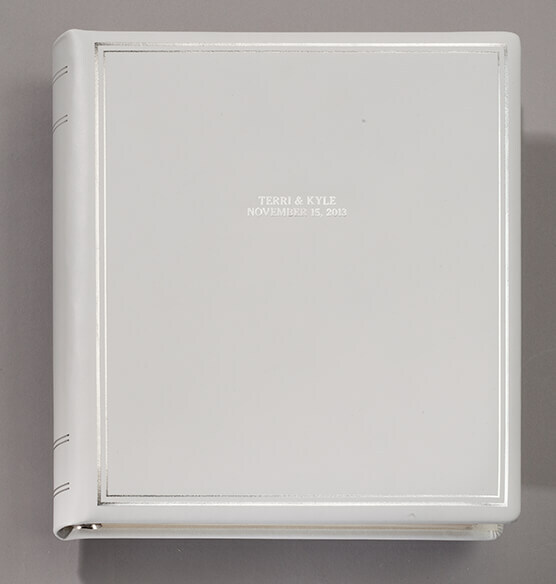 Wedding album measures 11" wide x 11 1/2"
My original album cover is aging and ruined. My daughter and son-in-law just got married this past weekend. I am having a professional photographer,too but will have extra pictures and wanted an album in which to put them. They looked lovely. 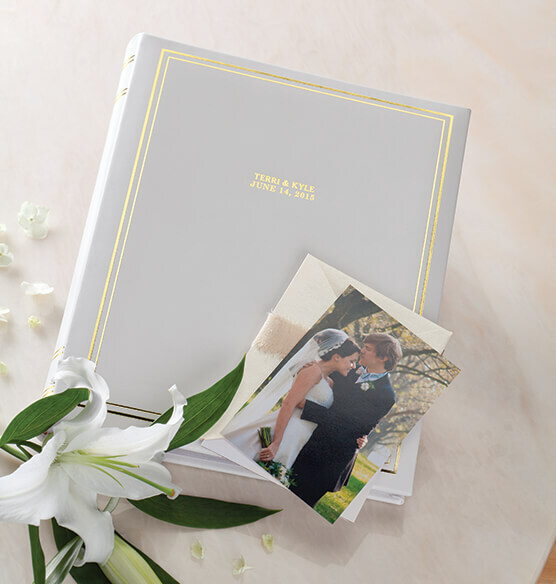 It is a nice and personalized way to organize wedding photos. Nicest one that I could find. I have 80 5x7 photos from myn wedding and will this album hold that many images? I have them 2 up on each side of a page. BEST ANSWER: Thank you for your question. This album can hold up to 40 pages. 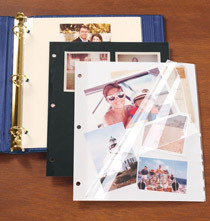 If you are using the 5x7 photo pages where back and front holds 4 photos each, this album can hold up to 160 photos for 5x7. We hope this information will be of help to you. how many fotos pages bring? BEST ANSWER: Thank you for your question. 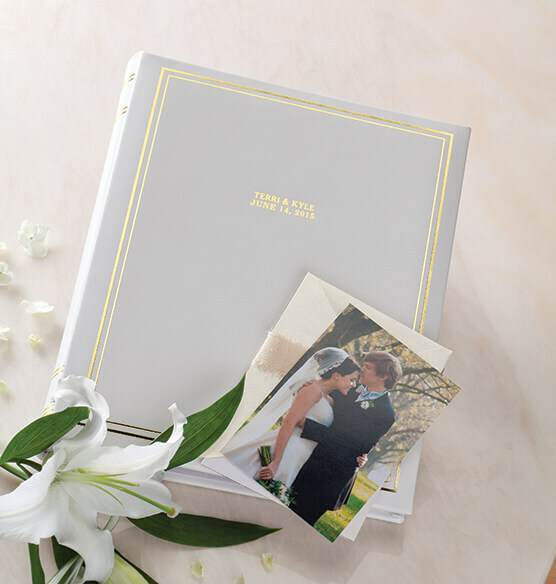 The Ultimate Wedding Personalized Leather 3-Ring Photo Albums holds up to 40 pages and the photo pages are sold separately. We hope this information will be of help to you. 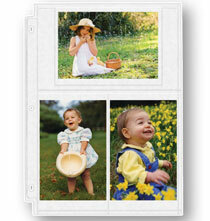 What are Type A photo pages? BEST ANSWER: Thank you for your question. Type A are three ring pages, Type B are four ring pages, and Type C are 12x12 pages. This album only holds three ring pages. We hope this information will be of help to you. How many pictures does this album hold? BEST ANSWER: Thank you for your question. This item is not sold with photo pages in it. 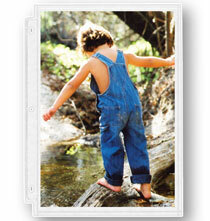 The photo pages you choose will determine of many photos it will hold. 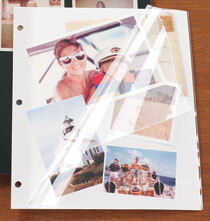 This album can hold up to 40 photo pages. We hope this information will be of help to you.